Porto Elounda is Greece’s premier five star golf holiday resortoffering a wide range of holiday facilities including a private 9-hole par-3 golf course. Its golf club hosts a modern, world-class golf academy with a PGA professional team. 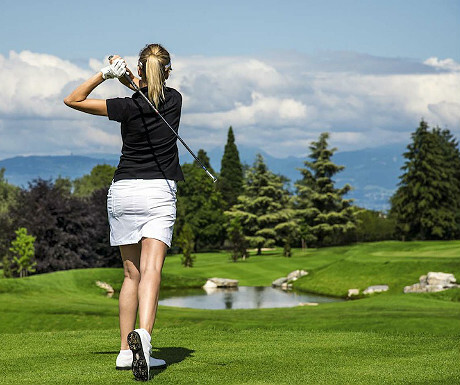 The academy is the perfect place to start learning how to play golf or improve your golfing technique on your five-star holiday in Greece. There are two playing options for each hole. In the shopping centre of the hotel, there is a pro-shop where you can collect all the necessary golf equipment and souvenirs. Beach bar, restaurants and all other facilities that you can ask for in a world-class golf resort are available. So, Porto Elounda is simply a dream golf resorts in Europe ready to offer you excellent quality golfing experience. The Elba Palace Golf & Vital Hotel is another wonderful golf resort with stunning sea views and sculptured gardens around the course. Being on an island where the average temperature is around 23 degrees almost all seasons a year, Elba Palace is simply a real pleasure for the senses. Anybody who loves golf will love going to Elba Palace and spending some quality time playing golf and spending time on Fuerteventura. You will especially enjoy playing on these tree lined holes and lush greens. Located in Costa del Sol, Spain, La Cala has one of the finest golf resorts in Andalucía. The resort boasts of three outstanding championship courses, each of them having their own kind of unique challenges, slot flawlessly into a natural rolling backdrop of dramatically striking flowers and trees, which are full of wildlife and birds. Its 18-hole courses are all designed by renowned course designer Cabell Robinson. Playing golf in La Cala can surely be an exciting experience. The Cornelia Faldo course is one of the finest golf resorts in Europe. 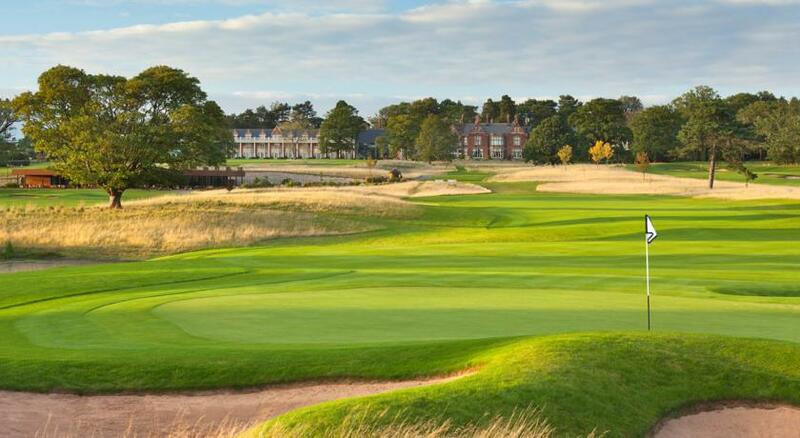 Its 27-hole Nick Faldo Golf Course challenges golfers of all ages and skills. Its 4800 square-meter golf course is located in one of the most beautiful natural landscapes in Turkey. Recently, it has signed with The Leadbetter Golf Academy (LGA) to open a new golf academy at the resort. The academy is equipped with highly experienced instructors with latest golfing philosophies and theories and state of the art technologies. World-class accommodations, stunning landscapes, premium quality golf academy and a really very challenging 27-hole golf course, make Cornelia Faldo an exciting golf resort to go for your next golfing vacations.